Hello yall I have been lurking on this site for a good bit while a was shopping for a Crownline. Just bought a new to me 2011 240ex. Most weekends you can find me on Lake Hartwell. Congrats and welcome from Nebraska! Glad you're here! Most weekends you can find me on Lake Hartwell. 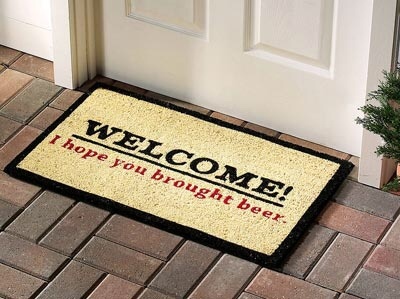 I need that mat. And welcome from TN. Not too many pictures of new boat. But here is one of a little dock party. My boat is one closest to dock on right side. The one closest to dock on left is my party toon.